On June 10, at the keynote for its Worldwide Developers Conference, Apple will presumably unveil details of the next version of OS X. A year ago, it did so for OS X Mountain Lion. 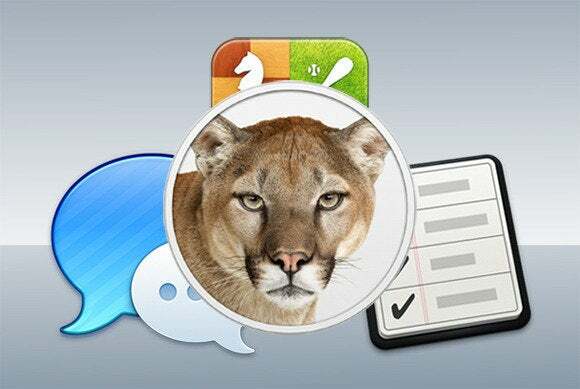 The looming anniversary led us to wonder: Now that we’ve been living with Mountain Lion for a while, which of its signature features have we actually ended up using? A few caveats before we begin: Though we received 5129 responses, this reader survey is by no means scientific or even science-adjacent. In addition, some features—such as AirPlay Mirroring—aren’t available on all Macs, which inevitably skews the results to some extent. And many of our readers don’t run Mountain Lion at all, so the participants in our survey are not representative of the broader population of Mac users. With those facts firmly in mind, we present the results. After you review what our staff had to say, feel free to weigh in below with your own opinions. Our staff is a little more bullish on the feature: Most of us use it occasionally—especially, as a few staffers pointed out, for watching Web video that users can’t natively get on the Apple TV or iOS devices. For example, Senior Writer Lex Friedman uses it to watch Showtime on Demand on his TV. But, he admits, it’s painful: “There are lag issues and audio sync issues, and I want to be able to keep using my Mac while I mirror just the one app.” Associate Editor Serenity Caldwell observes that her MacBook, like many other users’, is too old to support the feature. Despite Star Trek’s insistence that we will all someday communicate with our computers by talking to them, most of our survey participants seem to find Dictation little more than a novelty. Three-quarters of them said that they never use Mountain Lion’s speech-to-text capability; most of the rest use it only occasionally. About two-thirds of our staff use Mountain Lion’s Dictation from time to time, with the rest never dipping their toes into the waters. Both Lex Friedman and Senior Editor Dan Moren note its utility at keeping the keyboard clean during snacktime. Senior Editor Dan Frakes says, “A great feature, but sometimes I forget about it; other times I avoid it because I know that the topic I’m writing about will result in many dictation errors, and I’ll need to manually edit a lot.” Serenity Caldwell found it handy when her arm was temporarily in a sling, but Executive Editor Jon Seff points out that Dictation is problematic in an office environment. Our users were split on taking advantage of iCloud’s file-storage system. Almost half never touch the thing, a third use it occasionally, and just 19 percent rely heavily on it. Mail VIPs may be one of Mountain Lion’s more underappreciated features: Almost 60 percent of our survey respondents said that they never use it at all. Our staff was much more positive about it: Two-thirds of us use it all the time. “I love the ability to limit Mail notifications to just those people I care about,” says Dan Moren; Jon Seff has “set up VIPs for my wife and some other family, which quickly alerts me when something from one of them comes in.” Dan Frakes calls the feature “hugely useful.” Many of the Macworld staffers who say they don’t take advantage of the feature don’t use Mail itself. Ah, Messages. Apple’s reinvented chat client may win the “love to hate” award among Mountain Lion features. Three-quarters of our readers fire it up at least occasionally, and 44 percent use it all the time. Notification Center is a prominent part of Mountain Lion, so it’s not surprising that only 18 percent of our survey participants have never yielded to its linen-ful embrace. Lex Friedman again stands for the defense, acknowledging that Reminders is his “most-used Apple app after Safari on my Mac.” Among the major factors in its favor, he lists its syncing with iOS and its natural-language interpretation. If there’s a “most apathy-inducing” feature of Mountain Lion, it appears to be Sharing. About half of our surveyed readers—and most of our staff—have used it at least occasionally, but nobody seems too excited about it. Social networking services don’t seem to be especially popular among our readers, to judge from their general indifference to Mountain Lion’s integration with Twitter and Facebook: Only a third of survey respondents said that they take advantage of that integration, and more than two-thirds of the members of that subset do so only occasionally. “I get the Notification Center alerts for Facebook. That’s nice, I guess,” says Lex Friedman; Dan Moren, on the other hand, says he never even turned the feature on, since he’s not a regular Facebook user. Twitter occasioned more comments: “I will share via Twitter from apps sometimes, although I generally prefer using a client (Tweetbot) to do so. I do like that I have multiple Twitter accounts in Mail, Contacts & Calendars to make it easier to use them,” says Jon Seff. Many staff members echoed the usage of third-party clients. This question was a departure from the others. Admittedly, our readership skews toward the more experienced end of the user spectrum, so it’s no surprise that only 10 percent of respondents reported that they restrict their apps to ones from the Mac App Store. Beyond that, the split was nearly even between users who said that they run only apps from the store or from identified developers and those who have embraced a Wild West approach and allow all applications to run, regardless of provenance. Two-thirds of our staff follow the Anywhere approach, with the remainder choosing the middle-ground. “I option-click anything that’s not from an identified developer,” says Serenity Caldwell; Lex Friedman answers similarly. Dans Moren and Frakes say that they opted for the most open of Gatekeeper settings due to the large number of apps they have to try out for work.